The WIng-Pin is a retro inspired single fin with low 60/40 rails, low rocker, and mellow rolled vee to deep spiral vee under your back foot and off the tail. Specifically designed to excel in stiff offshores and hollow waves. 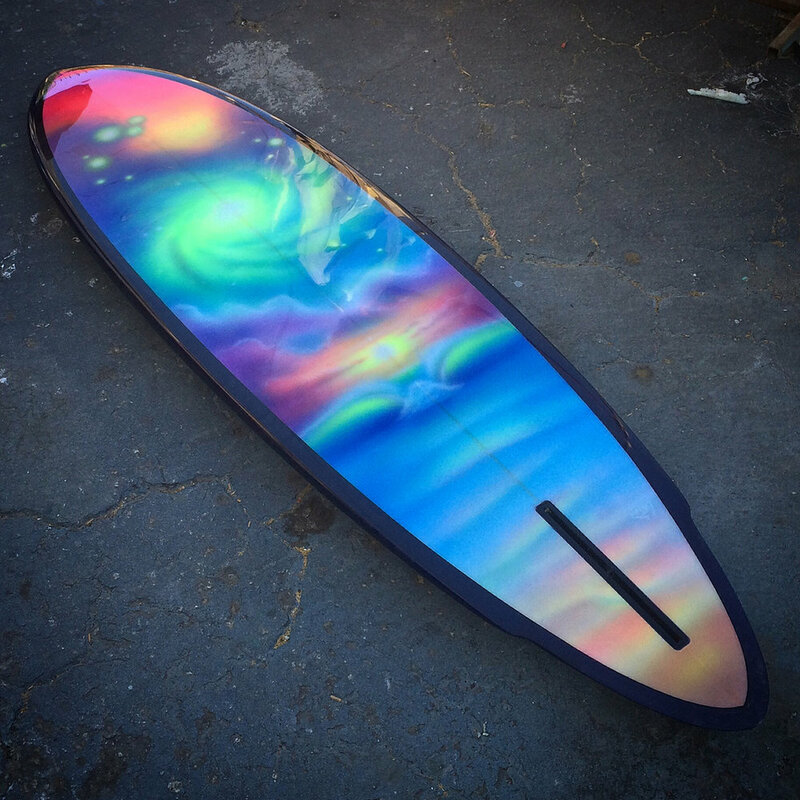 With its full nose, low rocker, and heavy glassing, this board lets you in early and draws classic lines. Designed for waves head high - double overhead and beyond. Available from 6'4" to 7'6."